Their first meeting was one of chance. Burwood co-founder Jordan Ramey was in the market for a new home in Calgary, and Ivan Cilic was the realtor he was working with. They soon discovered a shared passion for small batch, carefully crafted spirits. Ivan’s brother Marko soon joined the pair, and together, they were well on their way to mapping out a dream: Their vision for a distillery in Calgary was born. Every vision needs a solid plan in order to bring it from dream to reality. Jordan, Ivan and Marko came to WS for a complete strategy to launch their distillery. When we first met them, the distillery didn’t even have a name, so we called them Distillery X. Our Insights & Analytics team sprang into action, digging deep into data to unearth the keys to the audience for premium spirits in Calgary. We provided a full overview of how Calgarians talked about distillery products and how the words they chose differed between vendors and consumers. From there, we created a brand blueprint. The earliest versions of this vital document say Distillery X on them – even the Burwood name would be born of our collaborative, insights-driven process. Audience personas were next – knowing who we’re talking to is a top priority when we’re all trying to get the language of a new brand written. Being part of this evolution from vision to reality from the start was exciting for our entire team. We concepted logos. We played with mood boards. We sourced bottles and sketched ideas for packaging. We sampled the most delicious vodka we’ve ever tasted. 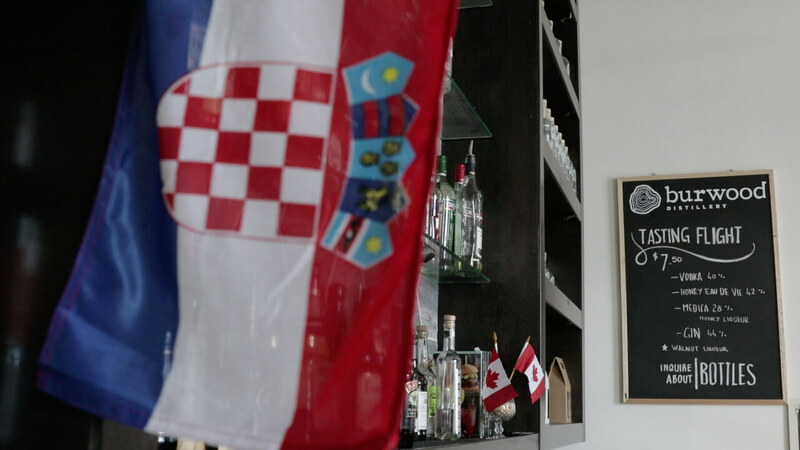 Throughout the process, we focused on the story of Burwood – the initial connection between Jordan and Ivan, the old-world traditions Ivan and Marko remembered from a childhood interrupted by the Bosnian civil war, and the great passion all three men discovered over many hours spent sharing food, drink and stories. 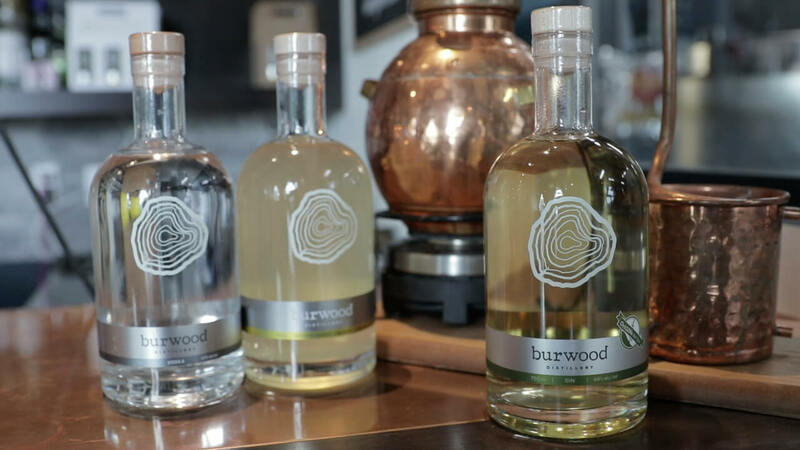 Burwood Distillery held its grand opening in 2017. Their small batch, limited products are proving to be instant classics, that discerning buyers in Calgary are willing to go out of their way to experience. The distillery itself sees plenty of foot traffic, and their website is a sophisticated compliment to their compelling story, and delicious product. The Tasting Room provides another experience for premium spirits drinkers and is quickly becoming a sought after event location for corporate parties. 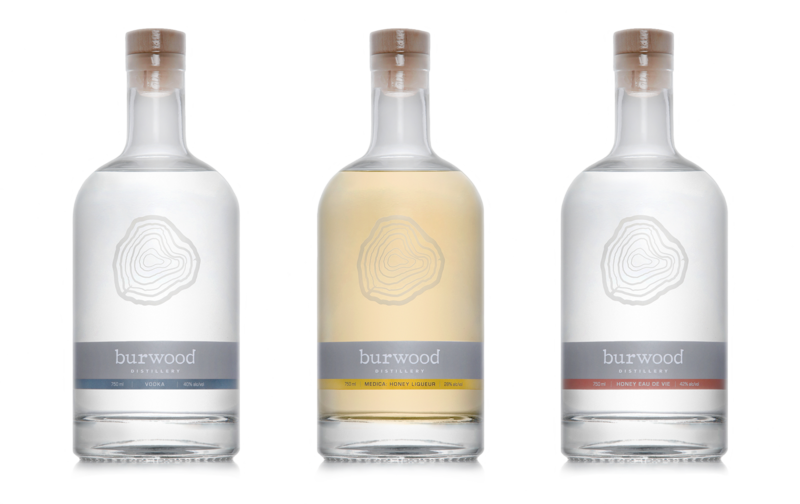 The story of the relationship between Burwood Distillery and WS isn’t over yet. As we enter phase 2 of our work with them, we’re focused on a plan to create a network of likeminded Calgary restaurants, mixologists and foodies who are passionate about local ingredients and premium products. Together with Jordan, Ivan and Marko, we’re keeping an eye on the delicate balance between small batch production and wild surges in popularity (aka the Oprah effect), while continuing to help grow Burwood Distillery into the Calgary landmark we know it will become. 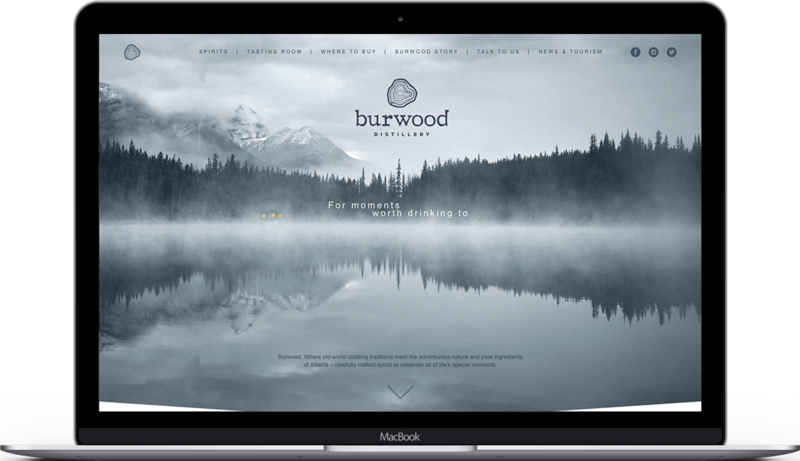 “Burwood Distillery’s logo ties in beautifully with the natural elements of the product, and once we had that, we were able to really start developing the brand. I wish we had been able to translate more of that earthiness into the bottles, but packaging presented a set of unexpected limitations. It might be a cliché, but I was surprised to discover that Marko was such a social media star. Social media was used to boost awareness of the upcoming distillery prior to opening, using the hashtag #buildingadistillery and people loved following the process.